We’ve all been there during our school days; bowling was the fun activity to do post-school or over the weekends. Though it maybe a favourite amongst the school kids, bowling is open to one and all, especially when you’re in a big group looking for some good old fun. 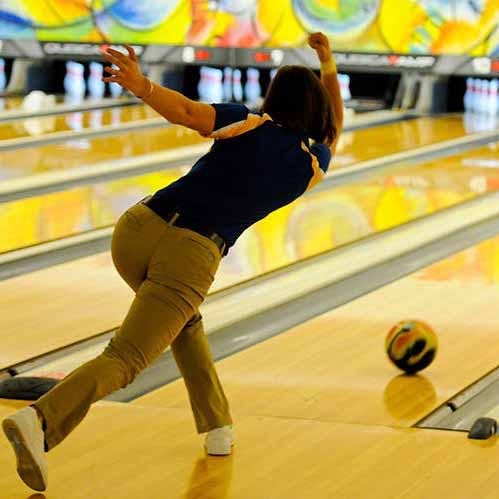 Therefore, find our guide to the best bowling alleys in town. And if we’ve missed any, let us know! This one is situated inside Phoenix Marketcity in Kurla, a shopper’s heaven. What you need to go here for is Amoeba Sports Bar and get bowling with your friends. With a pretty affordable price for their single session, Amoeba is really popular with the college kids as well as the office-goers, just like us. In fact, it’s one of the few places where you get to drink and bowl and it’s totally safe. Already a popular one with the bowling folks, Smaaash has a unique bowling alley, Twilight Bowling. With their UV-lit bowling tracks, team up, or play individually to hit those bowling pins. One for the suburbans, Play Park though is a favourite amongst the kids, it also has a bowling alley for people like us to go and try our hands out at. Fun City is housed out of Viviana Mall. It also offers 10 bowling alleys. Though it’s a bit of a trek being in Thane, it has a really nice vibe to it for people who love to bowl. They have open bowling tournaments, so you can either sign up as a team, or a single. Another option for gaming geeks in Mumbai, Timezone has more than five branches in different neighborhoods of Mumbai. Bowling is one the main attraction there, however, it is mainly for your tiny tots. They have an arcade and video games for children as well as adults. And if you are lucky, you could also end up winning a few prizes there.